Bridenstine made the comments yesterday while speaking to NASA employees at a town hall meeting, reports Space. NASA has identified approximately 400 pieces from the destroyed satellite, of which 60 are larger than 10 centimeters (4 inches) wide—large enough to be tracked by the U.S. military’s ground radars, SpaceNews reports. Troublingly, some of these pieces have reportedly entered into orbits equal to or higher than the International Space Station, potentially putting the base at risk. A family in India watches prime minister Narendra Modi addressing the nation during a televised address on March 27, 2019. The doomed satellite was at an altitude of approximately 300 kilometers (185 miles) when it was destroyed, a height low enough such that the debris should “decay and fall back onto the Earth within weeks,” claimed India’s foreign ministry after the test. Precedent, however, suggests it could take much longer than that; in 2008, the U.S. destroyed a defunct satellite at an altitude of 250 kilometers (150 miles), and it took about 18 months for all the material to fall back to Earth, according to SpaceflightNow. Troublingly, NASA says around two dozen pieces of the destroyed Indian satellite were flung to orbits higher than the ISS, which currently orbits the Earth at an altitude of 410 kilometers (255 miles). The fear is that a shard of the shattered satellite could strike and damage the ISS. Even the slowest object in Low Earth Orbit moves at speeds approaching 7.8 kilometers per second, or 17,500 miles per hour, so an impact with the space station could be catastrophic. 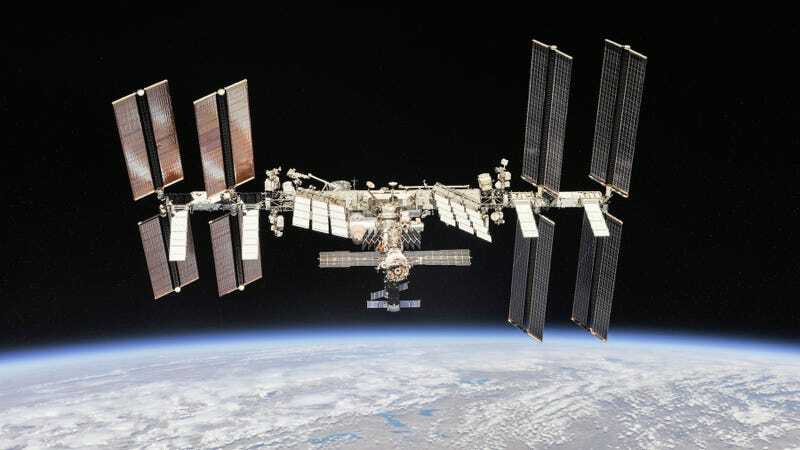 NASA, along with the military’s Combined Space Operations Center, estimated that the risk to the ISS increased by 44 percent over a 10-day period. That said, Bridenstine assured the town hall audience that the six people currently on board the ISS aren’t in any immediate danger. The ISS is “still safe,” he said, adding the ISS could be maneuvered if necessary, a contingency he described as having “low” probability.